We've visited Stiniva beach for the first time just a couple of weeks ago, in early May 2017. You can expect more info on our blog about Stiniva bay, and the entire Vis island, in the weeks to come. But for now, Xania and Craig of Wearactive shared with us few local tips to have in mind when planning a visit to Stiniva Vis. Xania & Craig are originally from UK, but they’ve been living on the island of Vis for over ten years. 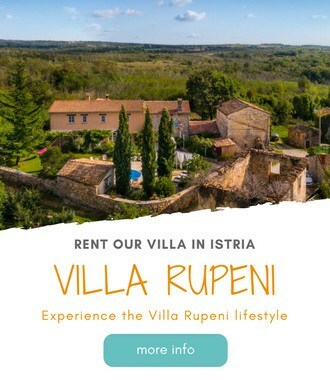 They run an adventure travel company on the island of Vis. They offer activities like kayaking, biking, hiking, slack-lining, and paddle-boarding. Check their website for more info. Stiniva, on the Croatian island of Vis has been voted the best beach in Europe in 2016, by a popular European travel portal. It’s undoubtedly beautiful. There’s a special aura when you first enter this hidden bay, with it’s dramatic enclosure of massive limestone cliffs. Stiniva is the perfect place to immerse yourself within natural Croatian beauty. It has however become busy, really busy! An increase in nautical tourism from the island of Hvar and from Split on the Dalmatian mainland, has changed the way with which most tourists experience Stiniva. TripAdvisor has ranked it as the most important place to visit on Vis island. Speed boats full of expectant tourists buzz constantly into the once quiet cove. Selfie sticks have replaced snorkels. The quiet respectful visitors have been replaced by muscle bound guys attempting to climb the rock face in a show of bravado. This invasion of speedboats will hopefully be controlled in the future, currently a swim rope has been put in place. This safety provision however can sometimes be ignored by a skipper trying to impress their boat load of expectant tourists. In our ten years of living and running a business on Vis island we have progressively seen more visitors to Stiniva, but we still love it! We still want to enter that small opening on the kayaks and experience the joy of our guests experiencing the cove for the first time. We have just become selective in our visits. 1 Ways to avoid the Stiniva beach madness! Ways to avoid the Stiniva beach madness! The speed boats start arriving after 10.30. Before that time you will only have to share the bay with a few respectful travelers and some swimmers from the Yachts that have anchored overnight. After 10.30 the speed boats start to arrive and the selfie sticks start battle. After the bay has lost it’s sun and the shade covers the pebbles, the speed boats leave. This happens generally after 4 pm. At that time it is worth hiking down to Stiniva bay from on the single track requires a good pair of shoes and a supply of water. The track can be accessed from the village of Zastražišće. The reward for the steep downhill climb is an early evening swim followed by the quiet and calmness of being able to chill out in the shade. This is our favorite way to experience the south coast of Vis island. When we start our trip from Rukavac, it takes around an hour on average of paddling. We pass the beautiful Srebrna beach and the inlet of Mala and Vela Travna. At WearActive, we love to take guests to Stiniva from the West of Stiniva. We start at a bay called Pritiscina. We can access the bay from an steep 4 km dirt track. From Pritiscina to Stiniva, you paddle the kayak in what we believe to be the most stunning part of the Vis coastline. In the 8 km paddle you pass caves and coves only accessible by a small vessel such as a kayak. With dramatic cliffs and rock formations, lots of places for rocks jumping, it’s the perfect way to enter Stiniva. We start early, we take our breakfast with us and enter the cove before the masses. Visit in May or June when there are still fewer tourists around. We went in mid-May and there were only five persons at the beach, at around 1 pm. Please try not to share this information with too many people, as we like be a little but selfish when it comes to this unspoiled island! I really want to visit this island, it looks phenomenal. Would you say the best thing would be to get the speedboat out, and then kayak around the island? We’re also not sure where to stay in Croatia. We’re happy to rent a car and move around a bit. Would you recommend any particular areas for a couple? Stavina vis is one of the my favorite Island i visited 3 times there and never felt bored. My family and I will be in Hvar and Split and would like to plan a day trip to Vis and also visit the Blue and Green Grottos. Do you have any advice for the best way to do this and is it better to do this from Hvar or Split? from Hvar is shorter sailing time, then from Split, but it’s doable from both destinations. Check Viator (https://www.viator.com?eap=brand-subbrand-22293&aid=vba22293en) for options, and choose the best based on your schedule and cost.